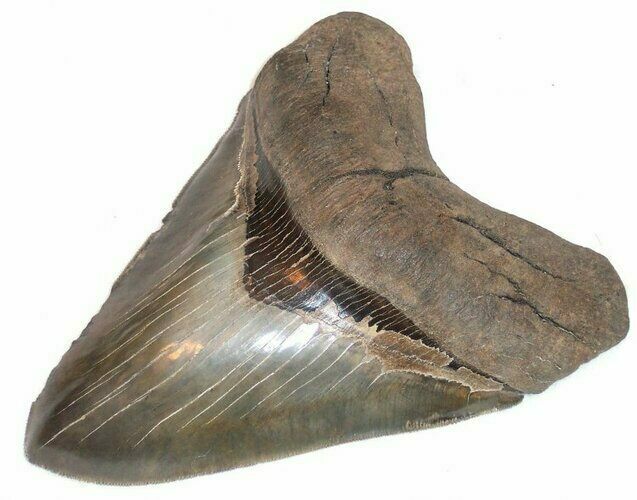 This is an incredibly rare, monster Megalodon tooth found several years ago in the Morgan River near Beaufort, South Carolina. It's an astounding 6.70" long (actually 6.698" to be precise), is sharply serrated and great symmetry. A tooth like this would be considered a "a once in a lifetime" find for die-hard, Meg tooth divers and a "something you'll never find" for most who aren't actively out collecting every week. 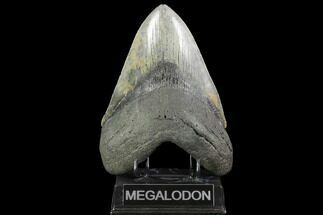 This is the largest Megalodon tooth we have ever had for sale and one of the largest you will find for sale ANYWHERE in the world. 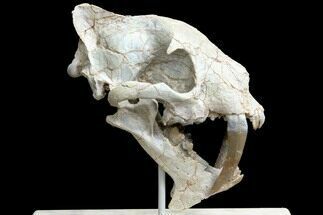 Please do your homework and see exactly how rare this tooth is. 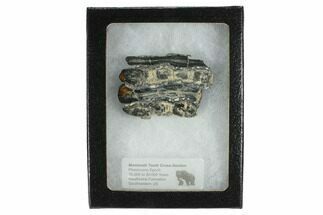 Of course it's expensive but a bargain price given the rarity of this specimen. 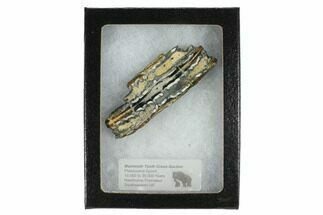 Quality-wise you can't go wrong as this huge tooth has very sharp serrations, solid root, good enamel, and a beautiful bourlette. The only flaws on this one were self-inflicted by the shark during life. The left edge is missing about 40% of the serrations but, again, this is totally natural and was caused by the shark biting into whale bone or possibly hitting another tooth while feeding. 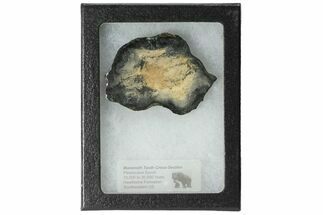 Obviously without the damage this tooth would be worth a lot more but it's real, it happened, and adds to the history of this one of a kind specimen. 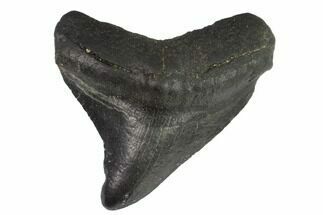 Like basically all the Megalodon teeth we sell this one has NO REPAIR OR RESTORATION.